AAr/Thompson Designers, Inc. is a team of architects, engineers, CAD designers, comptroller, and administrative staff with design centers in Arizona and Illinois. 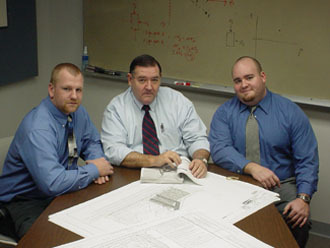 Working together, we have provided our clients with optimal designs for 46 years. Our technical staff has many years of experience in their particular field. Each member of our team utilizes the latest state-of-the-art computer programs to provide a modern, efficient product. AAr / THOMPSON DESIGNERS, INC.
46 Years Continual Practice in Architecture, Professional Engineering & Structural Engineering.